Woke up this morning after a very sleepless night feeling heavy. Muscle and joint pain with spasms caused me to require assistance from my husband to get dressed and downstairs. When asked what was going through my head I stated that I felt as a failure to be a mother, failure to be a wife, failure as a Sarcoidosis Advocate and now failure as an Acti-Lab Ambassador. Why, because my health is deterring me from living as I ought to be. My 50th birthday is this upcoming Friday, June 3rd. Where I wanted to be and where I am now is not as I expected. The problem is should I accept it or should I change it. Two new masses found on my lungs, a breast cancer scare, Cardiac Sarcoidosis issues, NeuroSarcoidosis issues, Fibromyalgia flare, new doctor, multiple testing, new medication changes, medical insurance issues, etc… This is just been the last three months. This could make a person very stressed and it has. I watch my husband working himself to death just trying to make ends meet. He never asks for help and he never complains, but you can feel his spirit shift. I am scared for him. The only way that I could help without sitting on the corner with a cup in my hand was to find something that I could do when I could do it. Something that is not so stressful that I would get overwhelmed. So I started my own business and it is, not for not trying my damnedest, getting off to a slow start. I thought that of those that are most important to me, would have been my first clients. Not happening. No, I cannot work in a normal setting due to my illness and knowing this I thought that support would have come fast and everyone would be happy that I am trying and that something has motivated me to strive to continue to fight. I understand that everyone has financial problems and I can relate, which I why I jumped into this venture. There is even opportunities for those that can to join me with trying to make some extra income. Why am I stressing? I truly don’t know because I trust that God has a plan for me. Sorry for venting. What is love and why do we Warriors need it? Warriors feel a sense of loneliness that is hard to describe. The feeling of no one understanding you. The feeling of loss of self and independence. Many of us lose our partners and friends because of lack of understanding, lack of communication and lack of self esteem. 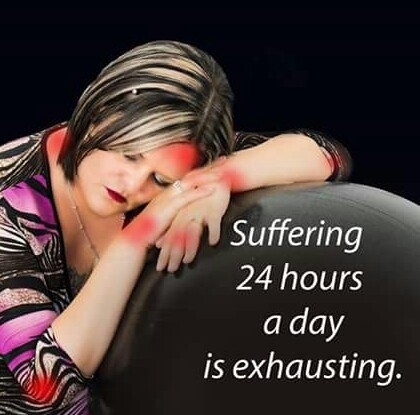 Now everyone knows that how you feel on a day to day basis can nwver be determined because of our chronic illness. Some days we cannot even get our of bed. That weighs heavily on our relationships with our partners and our family. Without understanding we seem to be or come off as being lazy. The people we expect to understand the most is those closest to us. When that isn’t there, the loneliness sets in and sometimes depression. Okay, now what we need is more compassion, more understanding and an overwhelming amount of support. This is the love that we need. You have heard the saying, “action speaks louder than words,” well that is the answer. I sometimes get frustrated when I feel like I am doing everything to make everyone happy or comfortable around me. I have sat and waited for everyone to reciprocate my efforts. Wrong action. My happiness begins and ends with me. If I need loving, well I have to love myself. Hahaha! Got it?! Take the time to draw up that hot bath, light some candles and put on your favorite music. Relax, Relate, Release! (Got that from my favorite show Different World). So in closing I want to say, use the action definition of the word “love”. Love yourself first before you set out to love others. It will make your road to better health, better inner peace and better healing. You will find that you will experience more stress free living, which will lead to better relationship skills. Trouble sleeping last night due to the pain in my left side, left hip and left knee. Pain meds do not work. Looking forward to finding out exactly what is causing the pain in my left side. I have an appointment with a general surgeon on the 24th. After three long years of emergency and doctors visits, with test after test being performed there are no answers. Physicians just prescribed more and more narcotics. I want answers not drugs to cover up the problem. My family is just as frustrated as I am. When I tell doctors or nurses that I have Sarcoidosis they just look at me like a deer in headlights. Most judge me by my outer appearance before even looking into my medical history. Let me point out that all of my doctors do not fit into this category. There are a few who have a vested interest into my health; my battle with this debilitating disease known as Sarcoidosis. Living each day in pain is not easy. It’s downright hard to smile when you want to cry. Laugh when you want to hide. This is not living, but I do it anyway. Most recently I was rushed to the emergency room because of not only the pain in my left side, but also my blood pressures were off the charts. My primary care doctor told me to get to the ER immediately. My blood pressure at the time was 215/110. The ER immediately admistered a pain medicine called Dilautin and continue to take pressure readings every 10 minutes. I was told that my potassium was low, in which I was given a potassium pill. I was also reinformed that I suffered from chronic anemia. I knew that and had given them that information during triage. I was given a blood pressure pill and I was discharged, believe it or not, after being told that I had fluid on my lungs and my BP was 188/98. Unbelievable! 😈 No one with pressure readings consistently that high, with fluid on the lungs and my medical history of Sarcoidosis should have been discharged. This is what we Sarcoidosis patients deal with on a regular basis because of the lack of knowledge of this disease. Research is needed to not only find a cure, but also to find and implement a reliable treatment plan for all its patients. Right now the drugs being used are doing more damage than are helping. I am now and have been seeking alternative treatments to help me find relief. I have found that accupuncture and chiropractic treatments have helped tremendously, but they are not all covered under insurance. So where does that leave us chronic pain sufferers. Please don’t say, “Pain Management.” Maybe to some, but not me. I believe in getting to the source of the problem and fixing it. I don’t believe in masking the problem with drugs. Anyhow, til next time continue to pray for me as I will surely pray for you. I will say of the Lord, he is my refuge and my fortress: my God, in him I will trust. Today is a day where my tears will not stop flowing. The pain in my joints (hips, ankles, elbows, fingers and knees) is causing me to walk with extreme difficulty. No appetite because my stomach just doesn’t feel right. I dread drinking water because it means that I will have to keep getting up to walk to the bathroom. I don’t know what to do anymore. My birthday is tomorrow and I will be 49 yrs old but I feel much much older. I continuously scream why me! I am honestly tired of the pain. I am honestly tired of seeing what this disease has done to my family. I am honestly tired of the emotional, physical, spiritual and financial strain it has placed on my family. I am honestly just tired. I ask myself if it would be better for God to just take me home. But I know that I want to live. I want to be here to be here with my family. I want to be here to see my grandchildren. I just want to be here. So please keep me in your prayers. I just want a cure. Hello Family, Friends, and Everyone Else! I want to talk to you about fibromyalgia (FM). Many have never heard of this condition and for those who have, many are misinformed. And because of this, judgements are made that may not be correct. So I ask you to keep an open mind as I try to explain who I am and how FM has assaulted not only my life but those whom I love as well. I cannot show you a physically open wound to show how much pain I’m in. If I could you would take one look at that, tell me to sit right down, get me a pillow, offer me something to eat or drink and have that concerned and understanding look on your faces. However with Fibromyalgia, you will hear from many people that they would rather have a broken leg any day than suffer the kind of pain this disorder inflicts. You see, I suffer from a disease that you cannot see; a disease that there is no cure for and that keeps the medical community baffled at how to treat and battle this demon, who’s attacks are relentless. My pain works silently, stealing my joy and replacing it with tears. On the outside we look alike you and I; you wont see my scars as you would a person who, say, had suffered a car accident. You won’t see my pain in the way you would a person undergoing chemo for cancer; however, my pain is just as real and just as debilitating. And in many ways my pain may be more destructive because people can’t see it and do not understand…. You must see with your ears and your heart what your eyes cannot see. You must listen carefully to what I am telling you. What I describe to you may not make much sense to you and may be difficult for you to understand. Sometimes it may seem to you to be a different universe that I discuss. Know that it probably is. You don’t have to fully understand my universe and you cannot possibly. However hear my pain, listen for red flags always of any danger signals where you may need to help with added assistance. I like to call it “sending in the troops.” Anytime I do not seem in touch with reality. Please don’t get angry at my seemingly lack of interest in doing things; I punish myself enough I assure you. My tears are shed many times when no one is around. My embarrassment is covered by a joke or laughter, but inside I want to die. You will hear many things from me that to you seem as easily resolvable. You may wonder why I make the same “wrong” decisions over and over again. Why haven’t I learned by this time? Why can’t I see the senselessness of my behavior? I may seem to be getting my life together and them bottom out all over again. Please understand the difference between “happy” and “healthy”. When you’ve got the flu you probably feel miserable with it, but I’ve been sick for years. I can’t be miserable all the time, in fact I work hard at not being miserable. So if you’re talking to me and I sound happy, it means I’m happy. That’s all. I may be tired. I may be in pain. I may be sicker than ever. Please, don’t say, “Oh, you’re sounding better!” I am not sounding better, I am sounding happy. What is happening here? Am I lazy, stupid, etc? Nope. My physical brain and body is very different than yours. I experience life different than the way you do. I feel different than you do. I have been accused of “playing games” for another’s sympathy. I have been called unreliable because I am forced to cancel plans I made at the last minute because of the burning and pain in my legs or arms and shoulders. The pain can be so intense that I cannot put my clothes on and I am left in my tears as I miss out on yet another activity I used to love and once participated in with enthusiasm. Do I experience mood swings? If I am hurting I may be angry, sad, depressed, or any of the hundred moods in the world. I’ll never know what mood I will wake up with? I may treat you cruelly and say horrible things to you; I may ignore you completely, or cry on your shoulder unstopping when I’m in Fibro Flair. You may wonder what you said or did that made me this way. Well you did nothing it’s the Fibromyalgia and all its underlining factors causing this. This is why I feel like a child at times. Just the other day I put the egg’s I bought at the store in the pantry, on the shelf, instead of in the refrigerator. When I talk to people, many times I lose my train of thought in mid sentence or forget the simplest word needed to explain or describe something. Please try to understand how it feels to have another go behind me in my home to make sure the stove is off after I cook an occasional meal. Please try to understand how it feels to “lose” the keys, only to find them in the freezer. As I try to maintain my dignity the Demon assaults me at every turn. I have a physical illness and it isn’t my fault and I didn’t ask for it I don’t want it and I don’t deserve it. Sleep, when I do get some, it is restless and I wake often because of the pain the sheets have on my legs or because I twitch uncontrollably. I walk through many of my days in a daze with the Fibro-Fog laughing at me as I stumble and grasp for clarity. Just because I can do a thing one day, that doesn’t mean I will be able to do the same thing the next day or next week. I may be able to take that walk after dinner on a warm July evening; the next day or even the in the next hour I may not be able to walk to the fridge to get a cold drink because my muscles have begun to cramp and lock up or spasm uncontrollably. There are those who say “but you did that yesterday!” “What is your problem today?” The hurt I experience at those words scars me so deeply that I have let my family and friends down again; and still they don’t understand. On a brighter side I want you to know that I still have my sense of humor. If you take the time to spend with me you will see that. I love to tell that joke to make another’s face light up and smile at my wit. I am fun to be with if you will spend the time with me on my own playing field; is this too much to ask? I want nothing more than to be a part of your life. I have found that I can be a strong friend in many ways. I am your friend, your supporter and many times I will be the one to do the research for your latest project; many times I will be your biggest fan and the world will know how proud I am at your accomplishments and how honored I am to have you in my life. All I ask is that you become educated about fibromyalgia. 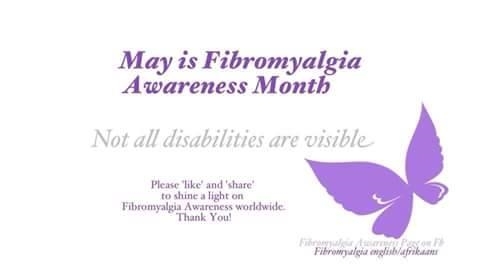 I am someone in your life that suffers from fibromyalgia. You may think you know everything there is to know about it, but there is more information out there than you think. It is more complicated then you think, and it is more life changing then you think. So you see, you and I are not that much different. I too have hopes, dreams, goals and this demon Do you have an unseen demon that assaults you and no one else can see? Have you had to fight a fight that crushes you and brings you to your knees? I will be by your side, win or lose, I promise you that; I will be there in ways that I can. I will give all I can as I can, I promise you that. But I have to do this thing my way. Please understand that I am in such a fight myself and I know that I have little hope of a cure or effective treatments, at least right now. Thank you for spending your time with me today. I hope we can work through this thing, you and me. Please understand that I am just like you. Note: I didn’t write this letter and I’m not sure who the original author is. To add along with my excruciating pain in my swollen joints, especially in both hands; now I have broke out in an itchy rash. Oatmeal bath, take me away. The question is, who do I turn to. I owe my dermatologist and I am afraid of them requesting monies that I don’t have prior to seeing me. I know it’s illegal, but the embarrassment is something I can’t handle right now. Where’s publishers clearinghouse when you need them. Please pray for myself and my family.